This content is provided by Dorothy Black Franzoni. Dorothy chairs Eversheds Sutherland’s US Renewable Energy team. Her practice supports the acquisition, development, construction and operation, and debt and tax equity financing transactions for, renewable energy and other electric generation projects and energy storage. 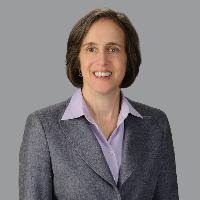 She advises on project development, construction and long-term operations and maintenance; power purchase and sale arrangements; power plant and transmission joint-ownership arrangements; federal loan and loan guarantee programs; commercial loan arrangements; tax-advantaged equity and leasing transactions; and publicly issued and privately placed debt financings for renewable energy, energy storage, and coal, natural gas and nuclear generation.